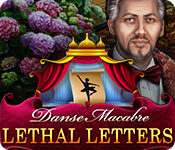 Danse Macabre: Lethal Letters is rated 3.8 out of 5 by 13. Rated 5 out of 5 by cumin65 from Excting Hidden Object game Eipix has always made excellent games...just finished Lethal Letters and as always it was a wonderful game. Very interesting story line, nice graphics and music. I just couldn't stop playing !!! So addictive as I went from place to place. Thank you once again...you were GREAT!!!! Rated 4 out of 5 by SparkleGlow100 from Interesting storyline I thought there was going to be a fast downhill about half-way, but there really wasn't. Twists and turns in the storyline kept coming. I liked the graphics in THIS game more than the Danse Macabre on Thin Ice. I played some of the HOPS, but many times I took the opportunity to play the alternative, which was a fancy looking match-3, with metallic, shiny-looking tokens. Overrall a good game, in a European city setting. Rated 4 out of 5 by rpggramma from Good Game, Story! Good game; good story. I really enjoyed the puzzles! Not a fan of HOs; but they were not bad. Great map and lots of info. Game seemed to be long to me, which is a good thing! Only problem for me was that I kept getting the characters mixed up. Nice and clean; not gory. Very enjoyable! Rated 4 out of 5 by denniann2 from a good 5th game in the series there is a custom level, an interactive map. something or someone was making people act out of character and you are called in to solve this mystery. at the beginning there is a murder that starts you on your mission. since this is the 5th game in the series i feel sure there will be others. i do feel it was a little short, but that is only my opinion. Rated 4 out of 5 by skullfun from Eipix 5th edition of Danse Macbre is a good SE... This is a really good edition to the Danse Macabre Series and you probably know that if it is the Danse Macabre series, it is going to be intense! And it very well is in the new release, Danse Macabre: Lethal Letters Collector/Standard Edition. The story of this game is very interesting and dramatic. You have mystery, you have love, and you have a lot of puzzles here! You are called in as an expert on hypnosis to help the count and his fiancee. The story revolves around Irina, a prima balerina. She's been having strange black outs. The things she does during those black out are very strange, like shooting her own beloved. As you can guess there is hypnosis involved, which will help you find out who is behind it all and more inmoptantly why. The story is interesting and the audio-visuals used to deliver it to you are excellent. The graphics are crist and detailed, the characters are realistic. There are little things from Russian culture scattered across the game (even though most of the scenes look quite generic for the genre). What was supposed to be an easy case turned into a very dangerous race for the truth. The game will keep you on your toes. 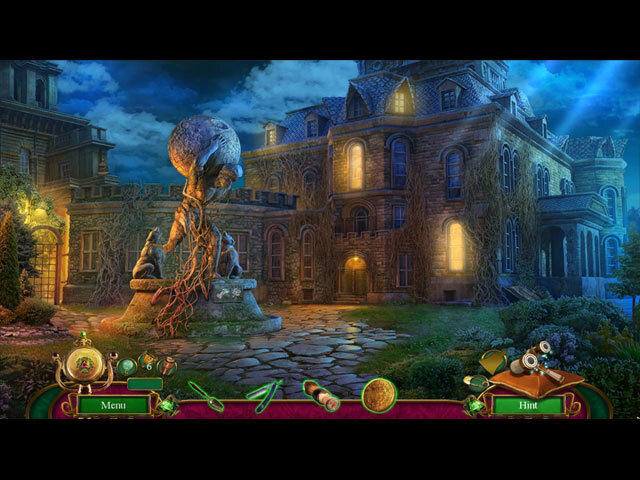 It is heavier on the puzzles rather than the hidden object scenes. The puzzles come in different forms and shapes, as well as difficulty levels, some of the best I have played in a long time. The HOP scenes are ususally multi-step ones. There a few mini hidden object scenes. If you get tired of them you can play a match-3 instead. There are four levels of difficulty including the customizable one. They are presented as Matryoshki, the stacking dolls. The skip and hint are adjustable. There is a map and a strategy guide for your convenience. There are 76 collectibles and 13 achievements. 26 puzzles and 15 HOP scenes are re-playable. I think fans of this series are going to love this for their collection as much as I did. Thanks Big Fish for continuing this incredible series!!! Rated 4 out of 5 by jellyann from This was surprisingly entertaining. I am a huge fan of the Mystery Case files and the Drawn series and I have a hard time finding games that keep me entertained at that level. That being said, this was a surprisingly good game - I liked the mini puzzles and the story line. It is challenging enough but not infuriatingly so. It was entertaining enough to keep me up well past my bedtime. Totally worth the purchase! Rated 4 out of 5 by PATinPNS from Another Reason not to go to the Ballet This is posted after playing the entire game. I have been waiting for what seems an eternity for the SE of this game to come out, because I loved the previous ones. It was about time! I found this game, although a bit weaker than the previous ones, very acceptable and fun to play. AND it wasn't about witches, ghosts and other supernatural beings. Thank you Eipix for a well deserved break from them. Also, it had a male hero, so I didn't have to go put my dress and heels on to play. It sure passed the time during this rain we've been getting. Graphics were well done. The colors were realistic and not just the usual pinks and drab visuals. Voice overs were well done, but not the usual you would expect from this developer. Just a bit weak on them, but they were acceptable. I enjoyed the music. It wasn't over bearing and went along with the action in the scenes just like the effects. I was really surprised at how long this played. When I was downloading it and saw the amount of data, I thought it was going to be really short, but it was just long enough for my attention span. It would have been much longer had I played, or attempted to play those mini games... ugh! You have several levels of difficulty. I chose the custom so I could set the skip and hint buttons to their lowest levels, but you can play the casual all the way to that for hardline gamers. 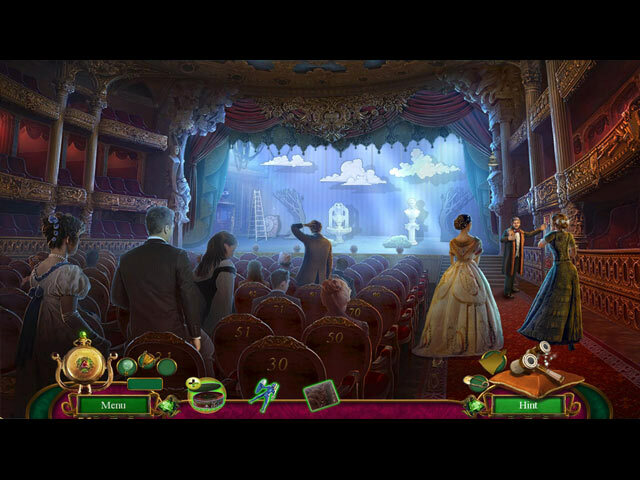 The hidden object scenes were varied. Nothing new to them. Lists, shadows, and the put together cards and you pick what they are. The mini games... some were simple, but the majority were beyond my patience level. It seemed like most of them repeated the actions to complete. Once is enough for me. There were a few I just couldn't figure out what to do with them. Again, not really anything new in the mini game category. The interactive map was very helpful. It transports, but also shows where there is something to be done. I love that. I don't believe I used the hint button the entire game, so I can't comment on what it does. I won't go into the story, Big Fish gives you an synopsis of it better than I can. Let me just say the story was well done. It had me from the beginning all the way through the game with enough twists and turns to keep me guessing. Give the demo a try and see if you don't think it is a worthy game. Like I said, it is a bit weaker than the previous games in the series, but well worth your consideration. Rated 4 out of 5 by biscuitsmama from BE VERY CAREFUL WHEN ATTENDING THE BALLET IT MIGHT BE YOUR FINAL CURTAIN Danse Macabre Lethal Letters is a tale of intrigue and murder. You play the game as Dr. Hawthorn, a renowned psychologist, who has been hired by Count Antanov to consult with his fiancé who has been suffering lapses in memory. Unfortunately, no sooner have you met the Count than he meets his doom at the hands of his beloved. Pull out your handy pocket watch (the major tool of all hypnotists and psychiatrists) to see if you can solve the mystery behind Lethal Letters and save Irina. Lethal Letters has the familiar technical aspects of games from this top developer including a custom mode that you can tinker with to set up the game for how you like to play. Although the graphics are lovely, the voiceovers fall a bit short and were quite a disappointment. For a game that takes place in St. Petersburg, all of the accents are decidedly American. The game has five chapters plus the bonus game. Your tools include a transportable map that you find early in the game. Of course no reputable psychiatrist would travel without her pocket watch and yours becomes another tool you use throughout the game. As is the case with most game gimmicks, we have to play a puzzle to activate the watch before use. The interactive HOPs are familiar and there are no surprises but, IMHO, they are just cluttered junkpiles with items that are difficult to spot. On the other hand, Lethal Letters has some great puzzles and, although they might not be anything new, they are excellent with a few twists that are new. The CE version includes collectibles and souvenirs to find. You can also replay the puzzles, match-3 games and HOPS. There are achievements, a souvenir room, wallpapers, videos, and soundtrack included as well. Had it not been for an intriguing story and the great puzzles, I would have passed on the gameThe game is nothing more than the same old thing with very little to commend it as something special aside from the puzzles and storyline. I love the Danse Macabre series and lately the series has diminished in its appeal. That being said, Lethal Letters is still a game that I will enjoy even if it isn’t as spectacular as I had hoped. As always, please try the demo to see if Lethal Letters is something special for you and a game that you will enjoy. Rated 4 out of 5 by pennmom36 from Who's Pulling The Strings Of This Marionette? Count Sergey Antonov has arranged a meeting with you at the Narevsky Theater in St. Petersburg. He's hoping your skills as a Psychologist and hypnotherapist can help his fiance and star of the theater, Irina, who has been experiencing blackouts and odd behaviour. Sergey was about to tell you his theory for the strange behaviour when tragedy strikes and the entire theater panics and becomes hysterical, there's been a murder! Because of your expertise in hypnosis, you have brought your family watch along with you that allows you to quickly hypnotise your patients, well....after playing a Mini Game of course. Some of the inventory items have plus signs, and many of which have a small puzzle to solve. The Collector's Edition has the addition of Hidden Signs, (Hand Bell's) to collect, and there are 13 different Achievements to earn. The Hidden Object Scenes are really entertaining. There are Interactive List Finds, Silhouetted Shape Finds where you find the item that matches two different items combined, such as a Star and a Fish equals a Starfish, Descriptive Finds in multiples, and even finding 5 of the same item to receive a tool to open up a list. There are even smaller zoom zone HOP's where you are given a handful of objects to find. You can still opt for a Match 3 game if you're not into the HOP's, both Editions offer this feature. The Mini Games were my favorite part, very fresh and very entertaining. Below are brief descriptions of some of the games you'll encounter during the demo: 1) Drag the gear through the maze, pressing the colored buttons to change the obstacles. 2) Rotate the parts so that both of them fit onto the shapes when you press the red button. 3) Hypnosis game with progressively harder puzzles requiring you to connect shapes with specific numbers of connections. 4) Rotate cylinder rings to create an image. 5) Press cash register keys matching the number each symbol represents. 6) Unlock the safe using the example shown in the correct directions. 7) Select the green arrows to navigate a car to the hospital. If you come across an obstacle, you need to figure out a different path. (this one's surprisingly fun) The Collector's Edition has 13 Achievements, 26 replayable Mini Games, 15 replayable HOP's, freeplay Match 3 Games, 9 Music Soundtracks, 46 Collectible Handbell Signs, 8 Concept Art Pictures, 8 Wallpapers, a Souvenir Room, 8 Videos, a Bonus Video from concept to game (excellent production) a built in Strategy Guide and a Bonus Adventure, enjoy!